Thinking of a long weekend away? Want to travel to a City where you can experience the local culture but still relax at the beach? Barcelona is the City for you!!!. The Barcelona City guide gives you a few of my favourite spots to visit during your time in the City. Las Ramblas is one of the most well know pedestrianised streets in Barcelona. 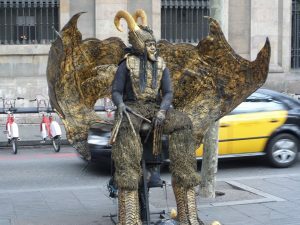 Las Ramblas is an avenue well known for its Restaurants, Bars and souvenir stalls, where you can walk alongside tourists and locals admiring street performs and caricature artists. I personally Enjoyed the Ice-cream stalls, you can choose from 6+ different flavours in the form of a cone or cup. They Even do waffles or Churros covered in hot chocolate sauce Yummy !!! Boqueria Market is the most Popular Food Markets in the world. It’s a great place to stroll and try fresh local foods, you can even buy gifts for friends and family back home such as Olive oil who wouldn’t want some natural olive oil from Spain?. 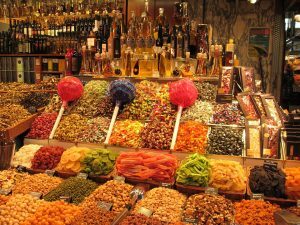 Boqueria Market is a great spot to pick up some ingredients if you’re staying in an apartment or hostel, with an equipped kitchen you can cook up a Spanish feast of your own. The Market can get crowded so be wary of your bags while shopping !!! A trip to Barcelona would not be complete without a trip to the beach (only if you go in the summer of course!!!). 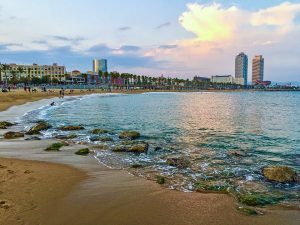 Barceloneta beach is a beautiful spot to relax, people watch and join locals in a game of beach volleyball. I’m not the lay on the beach kind of person when going to the beach I prefer heading to the water to do something more adventurous, you can head just outside the city to experience Kayaking, sailing and more water sport options. 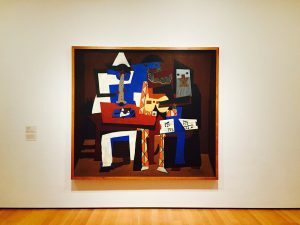 One of the must see places in Barcelona is the Pablo Picasso Museum. The museum is one of the most famous in Barcelona and gives a real insight into the life of Picasso. While travelling through the museum you will experience Picasso’s approach to art and his true love of the city of Barcelona. Some of the most famous paintings are housed in a breathtaking collection within the museum. The stunning courtyard will take you back in time and can be visited after you tour the museum. if you visit the museum on any Sunday after 3 pm or the first Sunday of each month you can enjoy the museum for Free !!!! For one of the most picturesque places to view the city head to Montjuic. Hiking there will take you about a 1hr not able to hike? there are bus lines available, the views are worth breaking a sweat over if you’re able to hike. Other than the unbelievable views and a great hike you can visit the Magic Fountain and National Palace while on the hilltop. 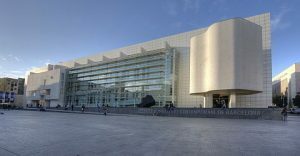 If you’re an art lover you’ll enjoy spending your afternoon visiting the Museu d’Art Contemporani de Barcelona. (also known as MACBA). The museum hosts some of the most famous Spanish and Catalan art pieces, the museum is a great way to learn about art from around the world. The great part about visiting the museum is that the guided tours are included in the admission fees that are a big bonus as many museums require a small fee to guide you through. The Museum is closed on Tuesdays but can be visited any other day of the week. Barcelona is a great City to visit for a long weekend and a weeks holiday. Enjoyed the Barcelona Travel guide? Feel like travelling to the cultural city? 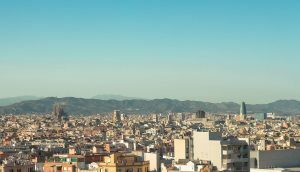 Staying in Barcelona for a long holiday why not check out our “Barcelona Tour Guide“ where you can learn about day tours or even overnight tours. 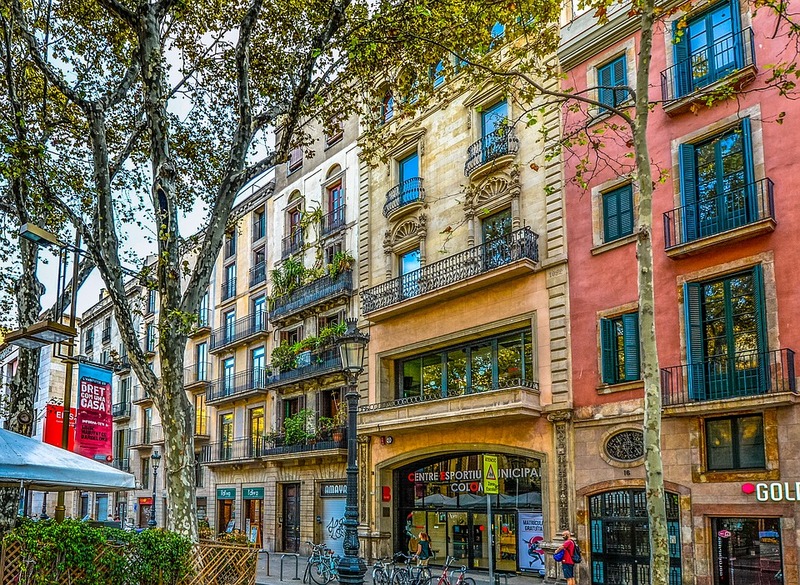 Please share the Barcelona Travel Guide with friends and family. Feel free to leave a comment below.